If you found yourself venturing to this article, then you likely want to become a food truck business owner at some point. The food truck industry is a great one, so we can’t blame you for wanting to operate your own mobile kitchen. With that in mind, this is not a get-rich-quick scheme, and you are going to have to pour blood, sweat and tears into this business venture. However, if you follow the three tips below, then you can — and will — succeed as a food truck business owner. It doesn’t matter what kind of business you are trying to start, you have to have an all-star business plan. This business plan is going to map out your entire food truck journey, so the more detailed it is, the better off you will be. It might be a grueling process, especially if you are working on your very first one, but it is worth it. This is where inventory, revenue, how much you need to make to break even, how much your food will cost, how much you can pay yourself, how much you can afford to pay your employees and things of that nature come into play. If you are trying to get food truck financing, whether it be from a bank or a round from friends and family, then this business plan is going to be even more crucial. Nonetheless, do not — we repeat, DO NOT — take any shortcuts when it comes to your business plan. Many people start a business with a “sell date” in mind. However, if you want to become a food truck owner, then this might be your final stop when it comes to your dream. Of course, your dream is going to change as you achieve more and more success. That tends to be the case for any industry. For instance, you might want to own five food trucks, or you might want to incorporate a sit-down restaurant. Whether the case, you have to create a business that you will love. 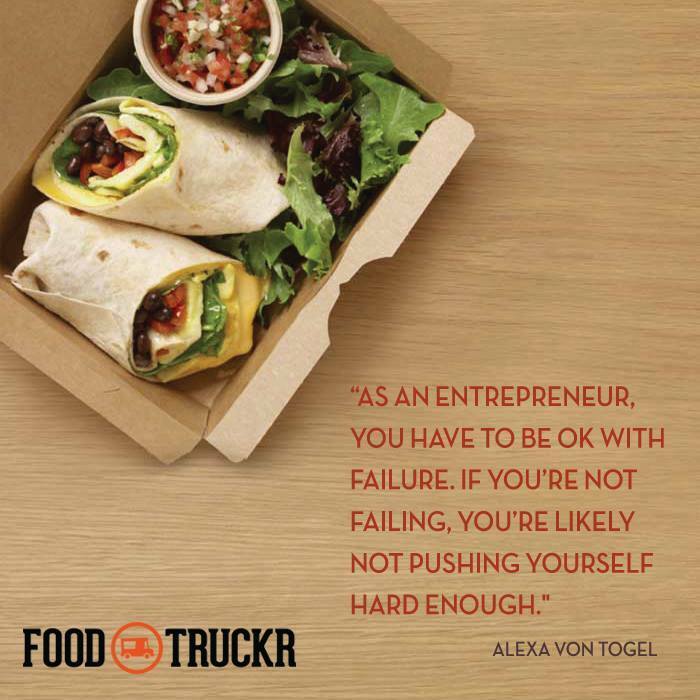 If you are not passionate about everything the food truck industry has to offer, then you will likely burn out (okay, so you don’t have to love permits, rules and regulations, but you do have to follow them). After all, you are going to be logging a ton of hours, and if you don’t like what you are doing, then your passion will die, and your business will likely take a hit. Therefore, create a business you will love, let your passion shine through and cook like you have never cooked before. It’s okay to have fun in the food truck industry, because that’s what it is all about! This might take some time for the simple fact that a food truck is not cheap (a high-end one could cost you as little as $70,000). You might not be able to officially hire your first employee until later down the road. Eventually, you will start making money, and eventually your dream team will start coming together. Your dream team should consist of a bunch of experts, because that is how you build the best possible business. You are the one who has to make the hires, but your dream team might consist of a social media/digital marketing guru, someone who is very business savvy and a couple of other employees who are great cooks/know a thing or two about quality customer service. Who knows, your dream team could eventually consist of multiple managers because you have multiple food trucks. Nonetheless, every successful — and thriving — business needs a dream team in place, and the food truck industry is no exception.